Plan a trip with the most important women in your life. Got a mother in need of some pampering? A teenage daughter immersed in MySpace angst? A sister who you can only contact through her your Blackberry? Wish to create some unforgettable memories of the women who play such a big role in your life? 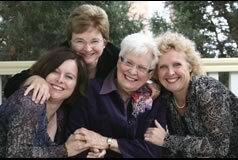 Ladies & the City help you plan trips with the most important women in your life - mothers, daughters, and sisters, and all for the sake of girls-only bonding. 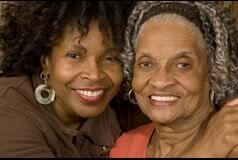 Mother-daughter travel is the most common, but grandmothers and granddaughters, aunts, cousins, and nieces should not be forgotten. Shared experiences through travel can revive family bonds eroded by life hectic daily routines, by creating an intimate scrapbook of memories that remind us of our heritage and our connections to each other. When women with different life experiences come together, they can enlighten each other with new perspectives and fascinating anecdotes. These 'remember when' moments are the sparkling cornerstones of a collective history and a legacy that will last a lifetime. Take a trip with Ladies & the City that will provide you with fantastic stories and strengthened relationships. And prepare your scrapbook material for your return!